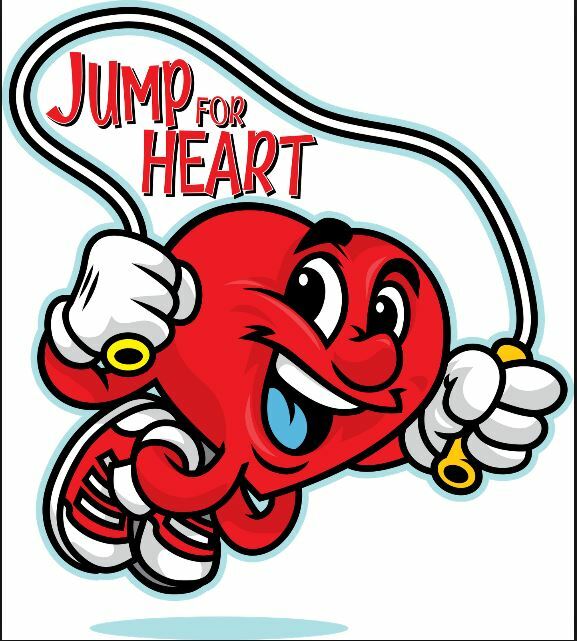 Jump Rope For Heart Skip Day! Dear Families it is time for our 2nd annual Spring Spirit Wear fundraiser. This round we will be offering Baseball Caps, Hoodies, T-Shirts, & Sweatpants. Paper order forms will be available for Cash and Cheque orders. We are trying to “ go green and Paperless” at LMCS in order to do that we are encouraging all families to please place your orders through the companies direct website through PayPal. Please note that during the parent teacher interviews on March 9 & 10 sample sizes will be available in the Library for you to view and to try on your child. There will be NO SAMPLES available in the office during the ordering dates. THE LMCA and Langley Meadows PE Teachers work together to offer open gym Mon-Thurs mornings from 8:10-8:40. Drop-In Fee $1 and all proceeds go towards new gym equipment! The Langley Meadows Running Group meets in the school parking lot every Sunday, Tuesday and Thursday at 6:30pm for an (approximately) hour run/walk. Both beginner and experienced runners are welcome. Please check out our facebook page (Langley Meadows Running Group) for daily/weekly schedule updates. This popular open gym program for students in grades 5-7 operates in conjunction with Youth Unlimited from our school gym every Friday evening from 6:00-8:00pm. Parents: please be sure to sign your child in and out every Friday. There will be weekly program updates on the Langley Meadows Community facebook page. #1 The official school district website… although it provided some great info and links for the past few years it has been confusing, dry and not very user friendly. It has received a brand new makeover (which has brought on some confusion) let’s come back to this one! #2 Ms Jaggi’s Blog “MUSTANG MOMENTS”… for the past couple of years our very tech-friendly principal has published a weekly blog showing what our kids have been up to at school the past week. From now on… Mustang Moments will be found on the NEW SCHOOL DISTRICT SITE (see below) under “News & Events” and our current principal, Carmen Eberle is already blogging away at that location. 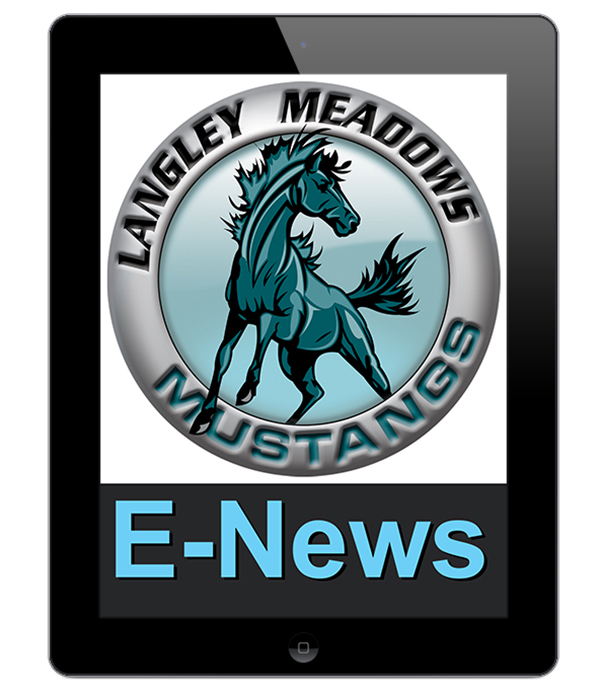 #3 The LANGLEY MEADOWS PAC site… this site is maintained by the school PAC for the purpose of sharing information that is related to PAC activities and other things we feel might be of interest to our Parent Community. It is where the E-News weekly posts are generated from (including what you are reading right now!!!) The PAC site also has a calendar that includes school dates, but also PAC dates such as fundraisers, meetings and Fun Lunch etc. 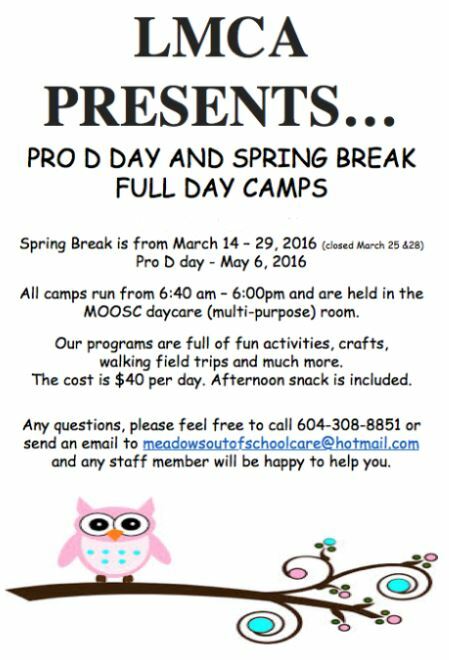 and events hosted by the Langley Meadows Community Association. The site provides links to our Facebook & Twitter feeds as well as to the other school sites and LMCA info. We hope this helps sort out some of the confusion… we would love to hear your opinion on the school’s web presence. Hop on over to our Facebook page and weigh in on the discussion! Posted on March 5, 2016, in E-News Weekly Update, MOOSC and tagged Langley elementary schools, Langley Meadows Community Association, Langley Meadows Community School, Langley Meadows Elementary School, Langley Meadows PAC meeting, Parent Advisory Committee. Bookmark the permalink. Leave a comment.